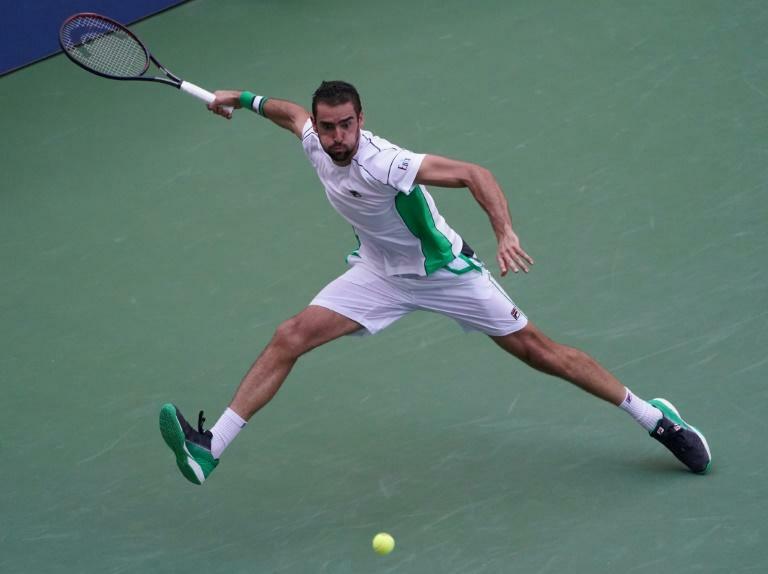 Marin Cilic defeated David Goffin 7-6 (8/6), 6-2, 6-4 on Monday to book a US Open quarter-final against Kei Nishikori, the man he beat for the 2014 title. Cilic reached the quarter-finals for a fifth time, denying 10th-seeded Goffin's bid to become the first Belgian man to make it to the last eight. Cilic, runner-up to Roger Federer at the Australian Open and winner of the grass court title at Queen's Club this year, was coming off a third-round marathon against Australian teen Alex de Minaur, who took the first two sets and forced eight match points in the fifth before Cilic got past him after 2.00 in the morning on Sunday. Goffin served for the opening set before Cilic won it in a tense tiebreaker. Things got a little nervy at the end also as Cilic served for the match at 5-4 in the third. He squandered two match points and saved a break chance before closing it out with a forehand winner. "I was thinking one match point, second match point -- I hope it's not going to the eighth one," Cilic said, adding that the break to level the first set at 5-5 was "crucial. "I played a great end of the set," he said. "After the first set David slowed down, at the end he gold me he's got some problems with his shoulder. "But I kept my rhythm and played well and I'm happy."